If you follow social media you will know that Luppolo Brewing has received their building permits and have begun building their brewery finally. Demolition of the space is already done and it is looking very different inside. I stopped in to check out their progress and happened to arrive the day before they poured the new slab for the production area of the brewery. I thought I might as well give a sneak peak to the readership at how different it is looking now. Check out what it looked like my previous visit here. 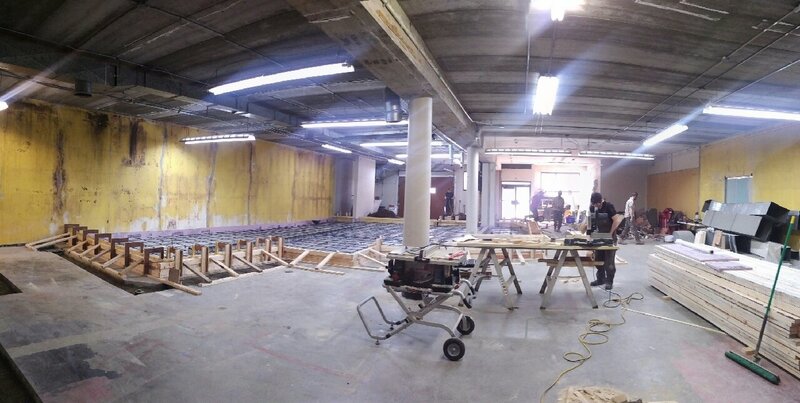 This photo is a panorama of the entire brewery and tasting room from the back of the building near the prep kitchen looking towards the front door. 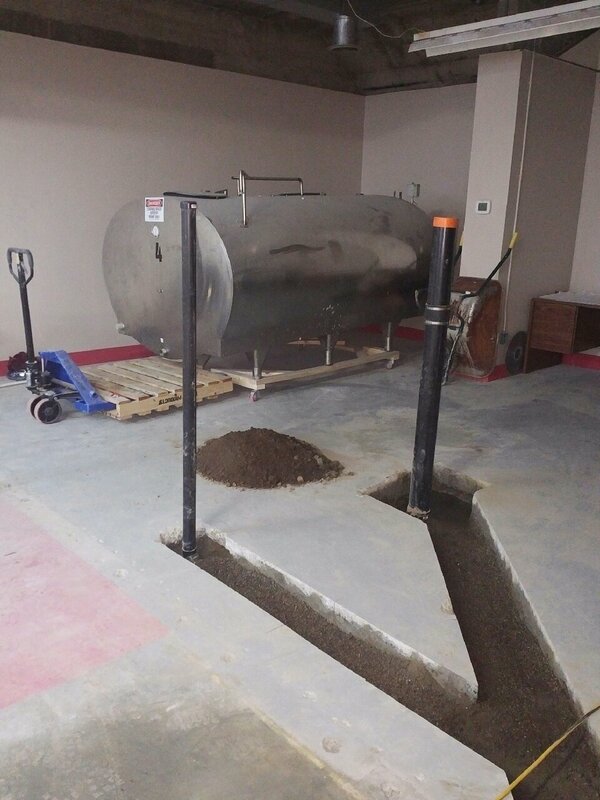 This is one of the tanks they will use for the brewery located currently at the back of the building opposite the kitchen where an office used to be located. I hope you are getting excited for one more brewery opening up in East Vancouver this year! This entry was posted in Brewery and tagged brewery, craft brewery, east van, east vancouver, luppolo brewing, under construction, vancouver. Check out more construction updates here. I’ll never forget the IPA the owner cracked open during the Yeast Van walking tour. I feel special for stumbling into there. Looking forward to when Luppolo opens. Hope they play up their Italian-ness. They are a really nice and friendly group that own that brewery for sure. I have liked the test batches i have been able to try so far. I am glad they opened up to the public that day!